Two industry expert entrepreneurs and longtime technology executives had the vision of providing clients with a combination of services, management resource tools and the ability to combine all services on a single invoice. Their research and development found dashboard driven solutions to better service their customer base. Today, we are finding many major organizations attempting to duplicate the process. Dashboard analytics alert businesses to immediate cost increases, track historic changes, and assist organizations in better managing their expenditures for future planning. DP Access has you covered with our consolidated invoice management platform - now with Smart Views™. Let us free up your staff’s time & cut the frustration, so they can be more effective on the tasks that are vital to strengthening your business. This service will save you time and money by analyzing your bills to uncover all the errors, managing all of your different vendors, and consolidating all invoices into one bill. Through our Smart Views™ dashboard, you have immediate access to the most relevant invoice information needed to make quick assessments and decisions that reduce expenses. This is all done through beautifully displayed 3-D graphics, which includes notifications that alert to both increases and decreases in expenditures. DP Access will provide your business with the solutions that are essential for all your communication needs. This could range from a simple mobile plan for your staff, internet access, or we can cover the whole gamut; including vehicle & asset tracking. Our most sought after service is our Consolidated Billing as a Service (CBaaS) platform. Our goal is to assist organizations in preparing for the massive growth to be realized through dynamic management of their technology expenses. We are a Program Member of AT&T Partner Exchange that sells AT&T Internet, Mobility and Voice services along with 100's of other carrier technology services to multi-location customers. Looking for a solution, but you’re unsure of the technology available? Give us a call 1-800-470-1707. 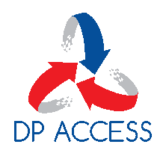 Interested in becoming a DP Access Solutions Provider? Give us a call 1-800-470-1707.